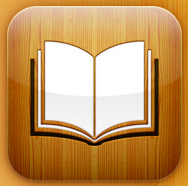 The MacDoctor: Advertising in iBooks. An interesting article in the WSJ, picked up by TUAW, discusses the notion of placing ads in eBooks on the iOS platform. When taken together with Apple's iAd platform, you start to feel there really could be something in this. And as both article's mention, it's certainly not a new idea to place advertisements inside a book. Here at The MacDoctor we've noticed many clients enjoying and embracing eBooks for the first time since the introduction of Apple's iBooks App & store. Both the iPad and new iPhone 4 with Retina Display, make ideal reading platforms. And with their audio, video, internet and wireless network capabilities, also present themselves as a great opportunity for the publishing industry to begin to evolve some form of appropriate advertising. It could be as simple as publishers promoting their own catalogue and future titles. This could be in the form of simple text and graphic based ads or even short video, audio or other HTML5 based content. Perhaps other advertisers could promote products related to the nature of a book title; holidays, films, products etc. Up to one iAd placed at the end of each chapter could theoretically work. And with the nature of Apple's iAd platform, prove quite un-obtrusive. This could be a really interesting development for the publishing industry and provide not just additional income but perhaps even additional information on users reading habits and preferences. Certainly and idea worth bookmarking.